You can make it your home too--at least for a fun-filled vacation. Reservations may be made for one of the campsites with electricity or the one-room log-style cabin. Simply use the online system to book your site. 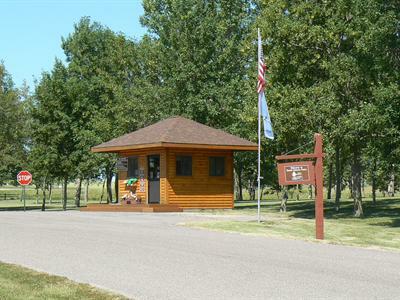 Bring family or friends to enjoy the scenery of Lake Cochrane Recreation Area while settling into the cabin. Four can sleep comfortably in the set of bunk beds and double bed. Inside is a table and benches; outside, a porch, picnic table and fire grate. Put sleeping bags and linens, cooking utensils for outside cooking and a cooler on your packing list. 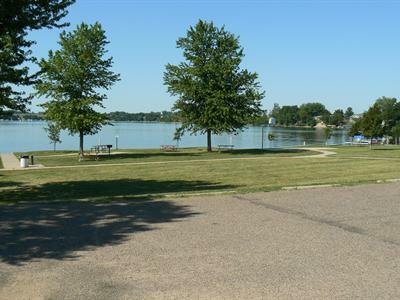 Plunge into the shimmering lake water for a refreshing swim or climb aboard a boat to see the sights of Lake Cochrane Recreation Area. 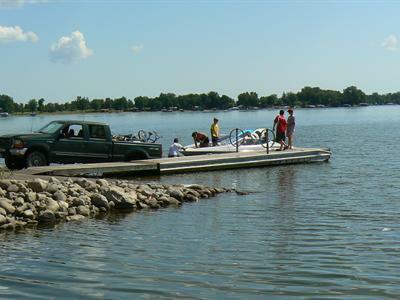 A boat ramp and fishing pole checkout are just part of the park's amenities. Try your hand at bringing in a catch of walleye, northern pike, bluegill, perch and bass. 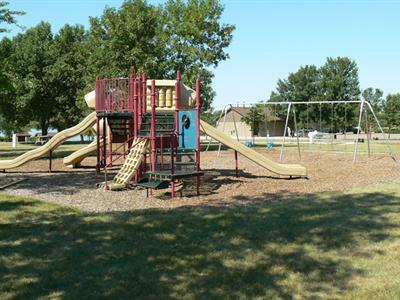 Gather a group at the picnic shelter, checkout a game to play and let the kids swing and climb on the playground. Small, out of the way park. Not much for hiking, as there was one "trail" that was mostly walking on roads around the park perimeter. But the playground was great for our kids, the beach was walking distance, and the campground loop was small enough our kids could bike around it with little concern. Some campsites were nice and wooded, others were more open. We chose a more open one as it was closer to the playground for our kids. Camping pads were fairly level, but some were a bit elevated above the fire ring and picnic table areas. Aluminum tables, and very new looking. Fire rings in great shape. Bathroom and shower facilities looked very new and were very clean. Plenty of tables and camping grills in the beach area. All in all, a very nice park, especially with kids who want to play in the playground and swim. It was very quiet for us as well, but it was after Labor day weekend, so it may be busier in the summer. Will return there for sure. Our overall experience at Lake Cochrane was awesome! Because we were there after Labor Day and during the middle of the week, there were no campground people there--hence the F on the previous questions. You should have a NA category to choose from. We enjoyed one day of being the only ones there--us and our friends--2 travel trailers. On the second day 4 more campers came. 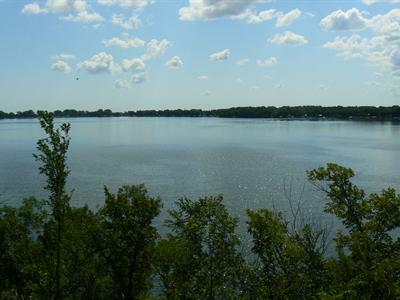 We love Lake Cochrane, it is small and our husbands enjoyed fishing off the dock and at Lake Oliver. We definitely will be back next year--probably more than once! The weather was beautiful, the lake clear and warm. Everything was clean and was a very relaxing weekend. Watched football at the near by bar and grill on Sunday. Love this location........and the sites are so big! This was a lovely park and the water was great. The only negative thing we had was our camping spot was on a bit of a hill and our picnic table was not in the best condition. I would choose a different spot within the park.